We consulted with Jyl Craven Hair Design on their recent salon expansion. The project included a new shampoo and hair treatment area designed to offer a calm, spa-like experience separate from the main studio. Using a custom drop ceiling and multiple wall treatments, a more intimate space was established within the high-ceiling salon. 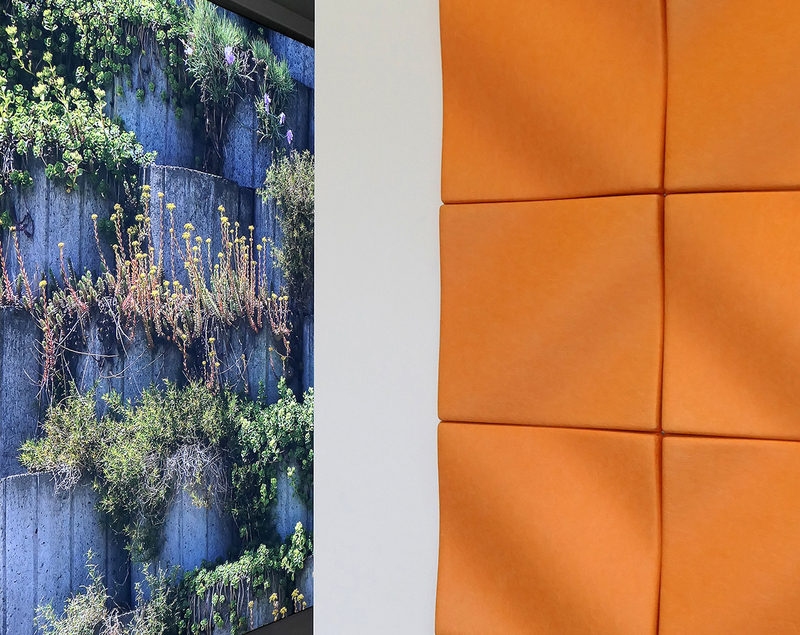 On two walls, we specified sets of acoustical wall tiles for their visual texture and sound reduction capabilities. 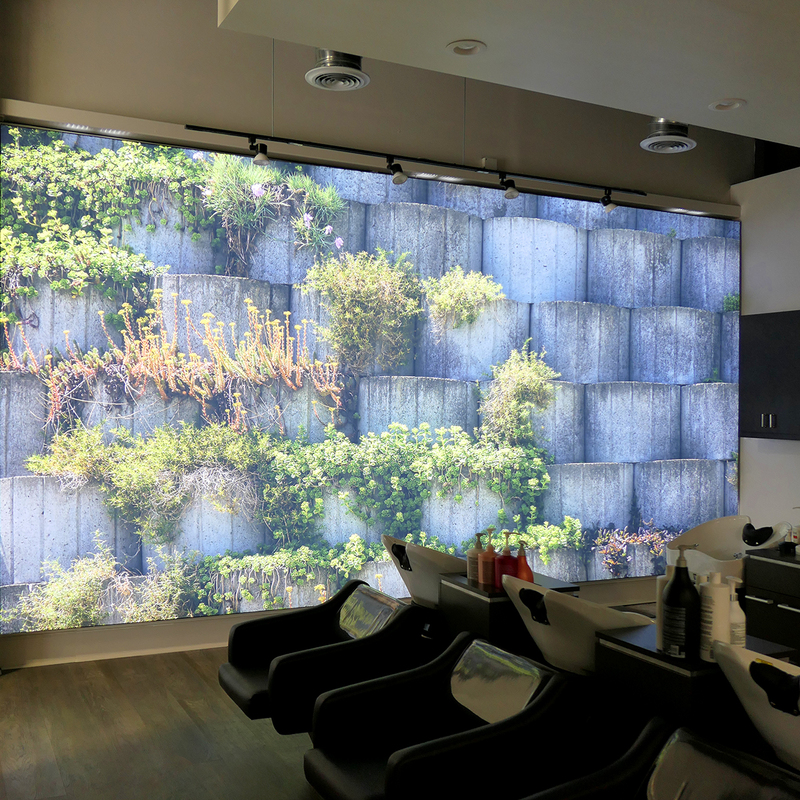 On the largest wall, we worked with 360 Creative Solutions to create a full-length illuminated mural that, in the inaugural incarnation, bathes the space in the soothing glow of a lush, stepped garden. A key benefit of the system is the easy replacement of imagery that offers refreshed interiors whenever inspiration strikes. 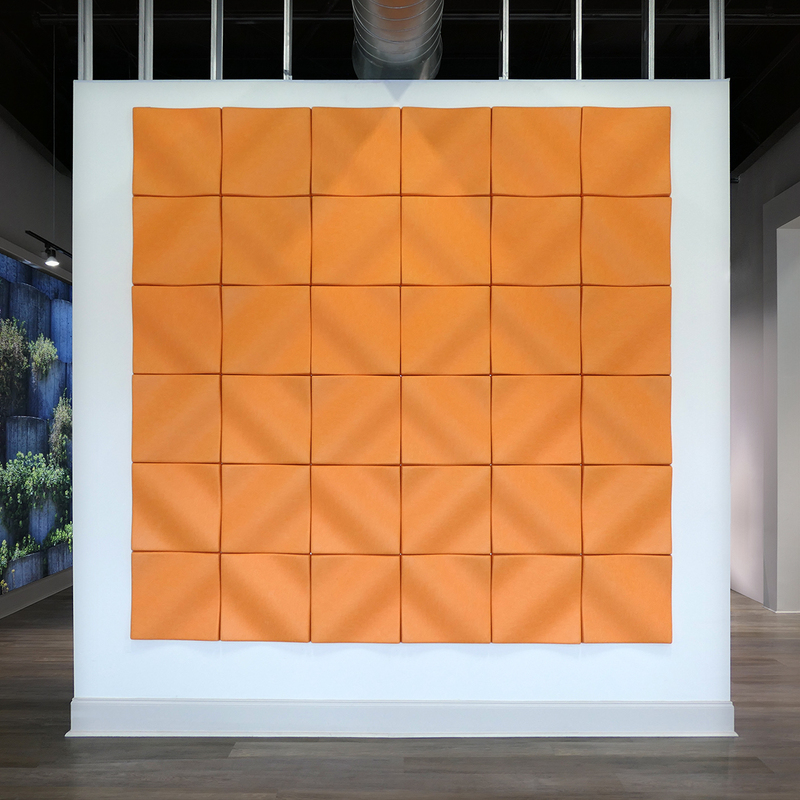 Monumental scale, compelling visuals, and tactile surfaces create dramatic statement pieces that perfectly mesh form and function to define the space.